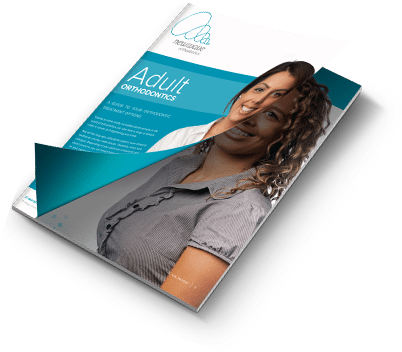 Considering braces as an adult? In this new era of orthodontics, many adults are now taking the opportunity to straighten their smile, and with good reason. Braces are now widely accepted and more discreet than ever before. Newwave Orthodontics, Sunshine Coast is focused on exceeding your expectations and is dedicated to providing tailored solutions for the best possible outcome. Our Sunshine Coast orthodontic practice has been established with two very important goals in mind: to ensure total result satisfaction by combining dental science with art, and to provide some of the most advanced and effective orthodontic treatments to date. As adults we understand that many of our patients feel their teeth are simply ‘beyond hope’ or have given up on having a straight smile or aligned bite. At Newwave Orthodontics we are happy to inform these patients that there are now orthodontic treatments that don’t interfere with your lifestyle so you can undergo treatment without having to be flexible. If you’re looking for a way to straighten your teeth, without the appearance of traditional braces, Invisalign is an effective solution for adults and teenagers. Invisalign uses clear, medical grade aligners to straighten your teeth. Invisalign is completely removable, meaning that eating and playing sport will not be affected; it is also a popular choice for professionals who are conscious about their appearance, but would like to improve the form and function of their teeth. Click here to learn more about Invisalign at Newwave Orthodontics!